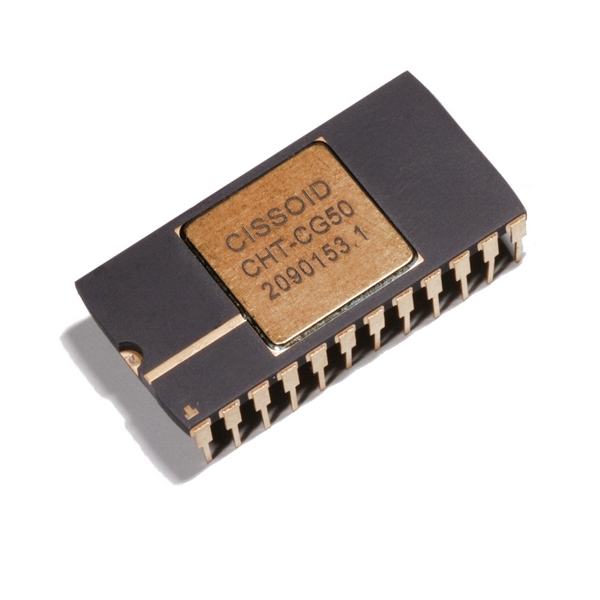 The CG50 is a high-temperature crystal clock Generator integrated circuit. It features a crystal oscillator driver with disable input, an ancillary clock signal input and a programmable divider chain. Using an external crystal, it is intended to provide reliable precision performance throughout the -55 to +225°C temperature range. CHT-CG50LP is the 2nd generation of our crystal clock generator and is more recent than the CHT-CG50.